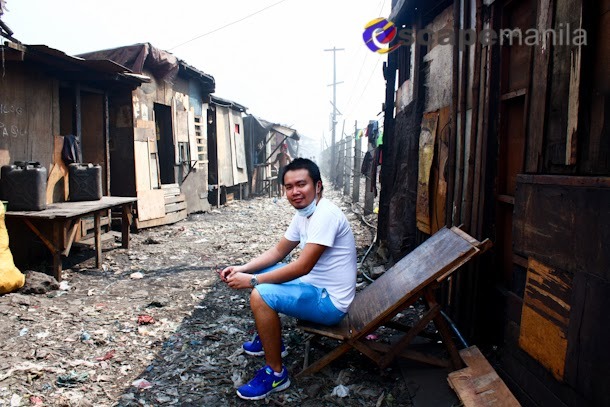 Millions of Filipinos live in slum areas and a big portion of the the slum dwellers are in Manila. 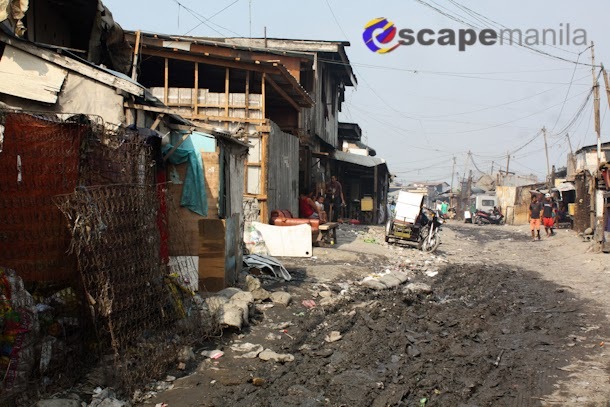 One of the densely populated slums can be found in Tondo where majority of the residents do not have access to electricity, water, sanitation, education and employment. When I received an invitation from Smokey Tours, I immediately said yes. 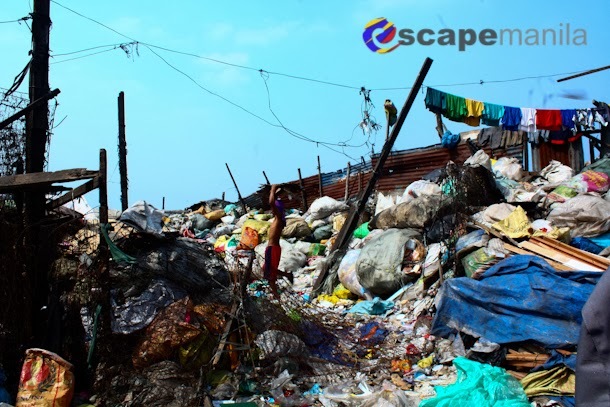 I have been planning to visit one of the slums of Manila ever since but I was just not comfortable in going there alone and I do not know anyone who has a contact from someone who lives in the slums. I always wanted to know what is going on inside the slums. 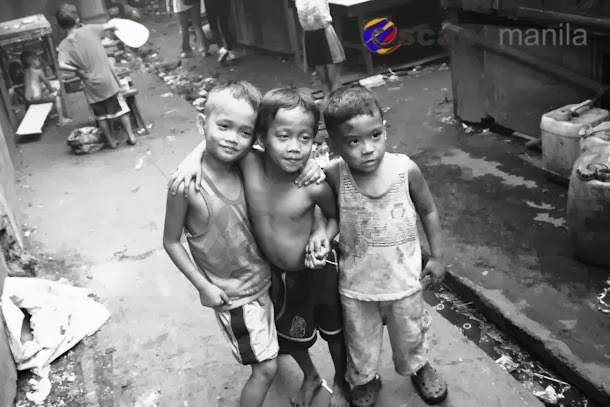 I just saw videos on TV but I thought it would be interesting to actually experience the life in the slums of Manila. Our rendezvous was at the LRT Tayuman Station. 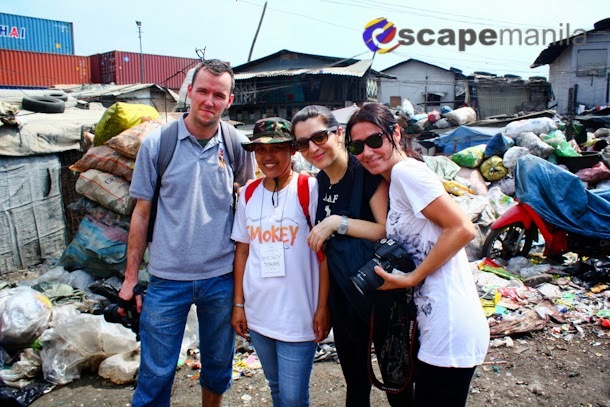 I met our tour leader, Ate Remy Cabello along with three foreign bloggers also joining the tour with me. I was excited and at the same time a little anxious of what to experience. Ate Remy has arranged a tricycle to transport us to Smokey Mountain and back to LRT station. The traffic was terrible due to the big trucks coming from the nearby cargo port. After about 30 minutes, we arrived at the jump-off point of the tour. We started walking and Ate Remy was telling us about the people and the places in the slum. 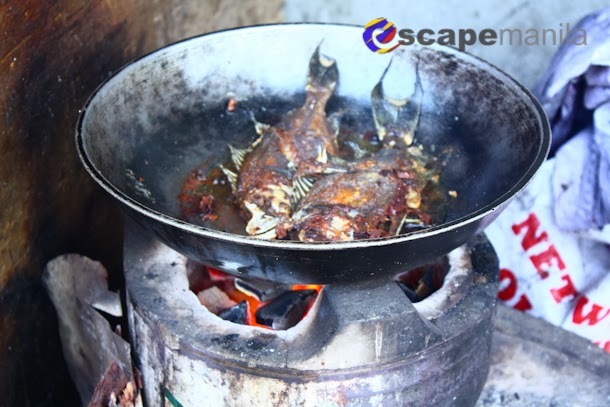 She is very knowledgeable about the place and she almost know everyone in the area. 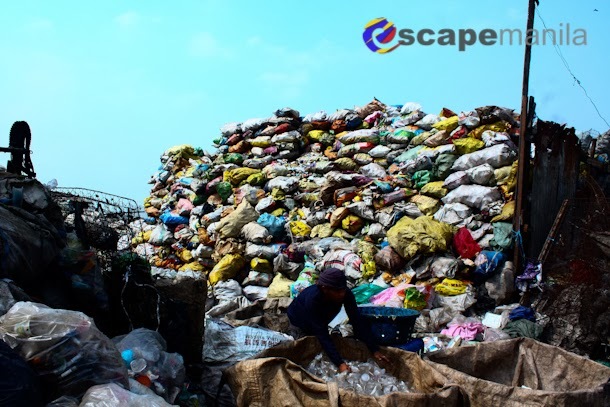 The area that we explored was used to be a dump site. 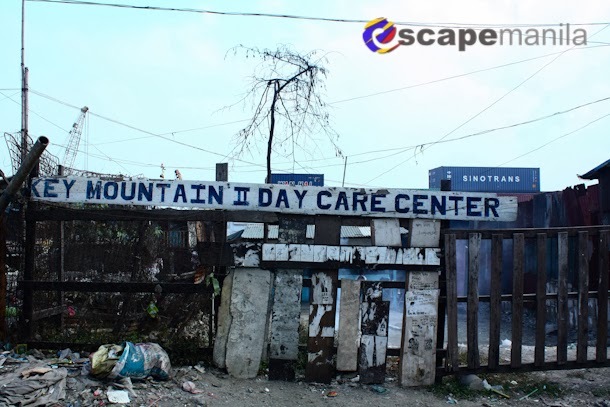 It was named Smokey Mountain due to a high volume of garbage being thrown there everyday. 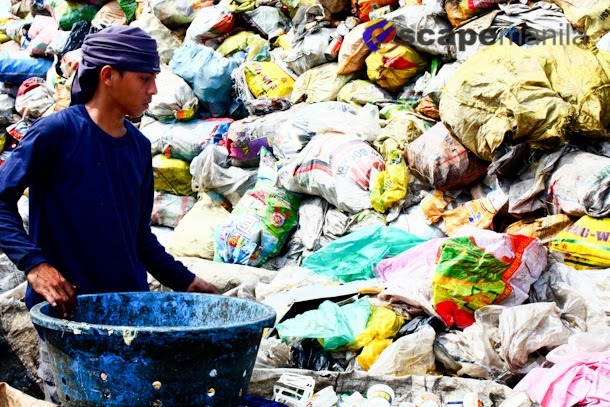 It was previously Manila’s waste disposal facility. To date, the area has been converted into a residential place. 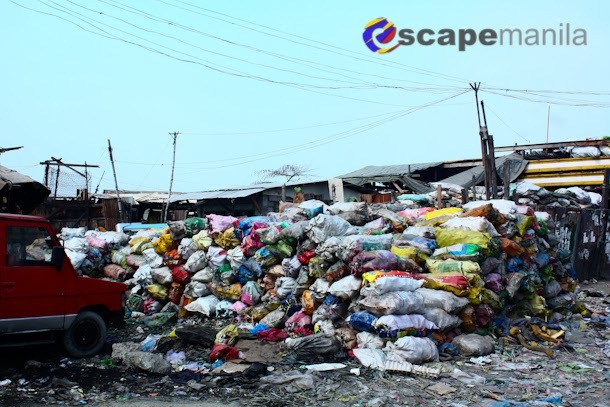 There were buildings which were built for the people to live in but there are still areas where the pile of garbage were not flatten. A lot of them still live in houses which do not have electricity nor comfort rooms. 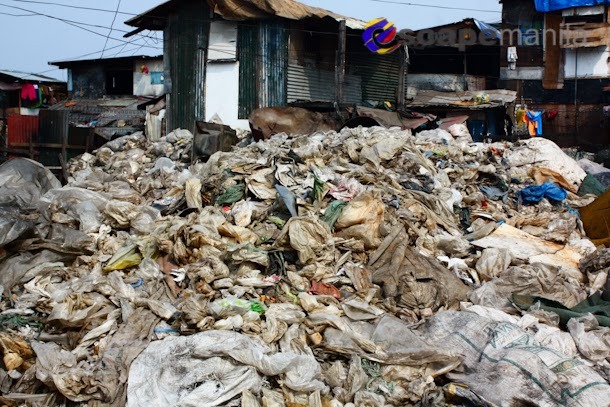 I felt really sad about the life of our countrymen in the slums. 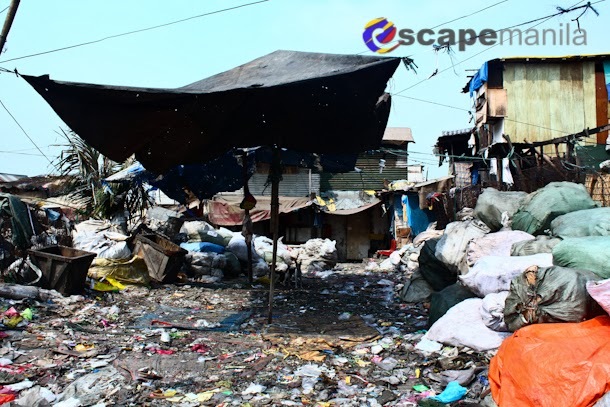 Most of the people there are getting their income from scavenging. 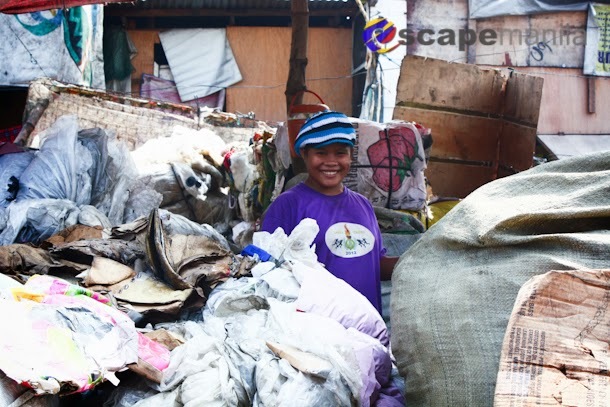 They collect plastics, metals, papers and other stuff which can be recycled then sell them. Life is tough in the slums but people still manage to smile. 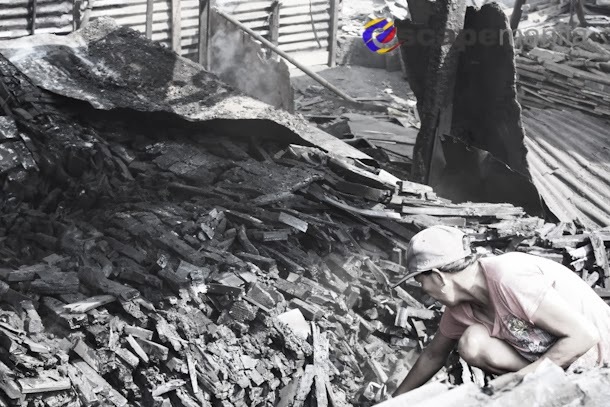 Life is hard, but for them, it has to move on no matter what. 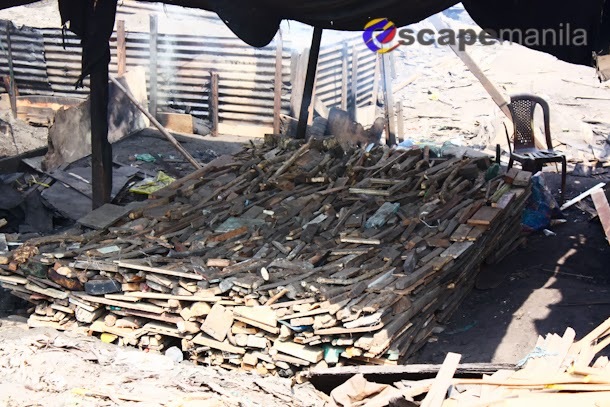 Another place that we visited was the charcoal area. 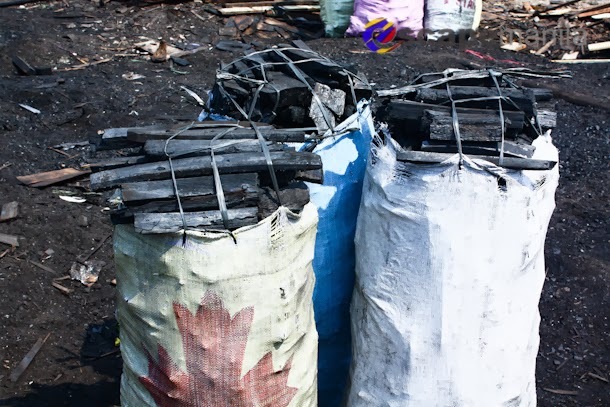 We were able to understand how the charcoal were made on a large scale. As much as we want to stay longer in that area, we couldn’t as the smoke from the makeshift charcoal-maker was really disturbing. We had to use face masks to bear the smoke but it really didn’t help that much. 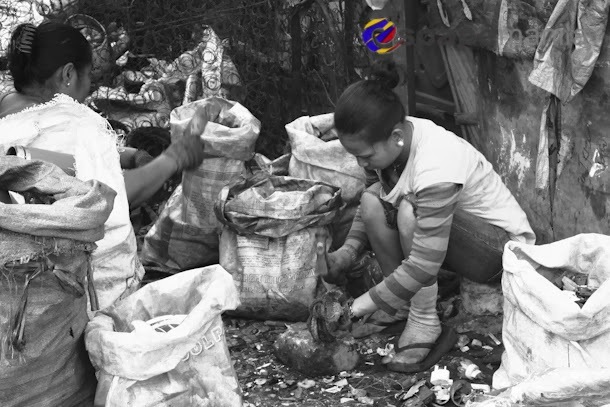 But, it was good to know how people make a living out of producing charcoal. It was interesting to know the process. Make sure you wear comfortable clothes and shoes. Never wear too revealing clothes. 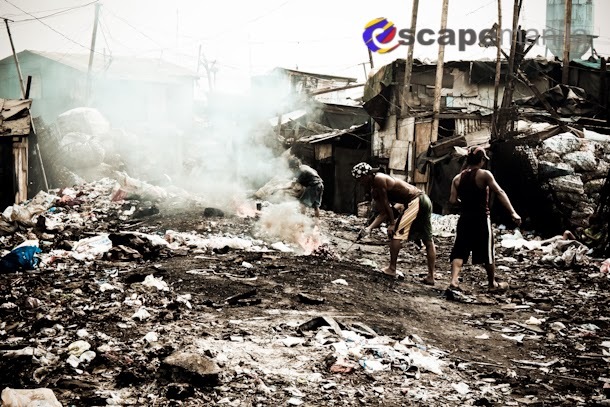 Be prepared emotionally as you will see a lot of disturbing and depressing scenes in the slums. Bring a bottle of water as it can get really hot during the tour. 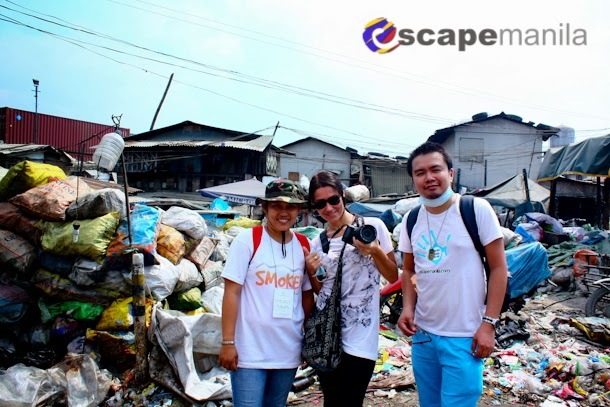 A no camera policy is imposed by Smokey Tours during the Smokey Mountain Tour. If you are a member of the press and would like to take photos, please tell them in advance so they can arrange a tour for you with your cameras.